Trumpwall and "Doing What it Takes"
Home » Blog » Trumpwall and "Doing What it Takes"
Since Trump’s demand that we build a wall on our Southern border to stop illegal entry has partially shut-down our government, it is worth considering if walls are effective. A 2016 article in Politico Magazine, “The World is Full of Walls That Don’t Work”, claims, as it’s title states, that many walls have been built throughout history that have proven to be temporary fixes to political, social, and economic conflicts. The title intrigued me since as a former prison warden I took a heightened interest in the effectiveness of barriers in their multiple forms: solid, fenced, and electronic. (I will use the term ‘wall’ to be inclusive). History shows that walls, provided people are prepared to do what is necessary to defend them and prevent other people from crossing them, by using lethal force if necessary, work. What Van Creveld means when he says “do what is necessary” is not just build a wall, but also construct: death strips at least ten meters wide; equip the wall with electronic and radar detection and alarm devices; monitor every inch of the wall with CCTV and drones; and have regular armed patrols, and rapid response squads, with orders to kill anyone attempting a breach. Any wall so equipped has proven to be highly effective in keeping people separated. 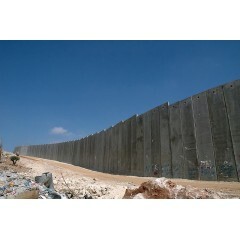 Modern examples are: The Berlin Wall (lasted over 30 years); the heavily fortified fence between North and South Korea (now 64 years-old); the wall separating Greek from Turkish Cypriots (now 44 Years-old); and the walls separating Israel from Palestinian territories and from Syrian Hezbollah (the oldest now standing for 14 years). History has also shown the will to “do what is necessary” is often in proportion to the size and length of the wall in question: the longer the wall, the weaker the will to “do what is necessary” over time. The Great Wall of China is not a single wall but a number of subsidiary walls branching of a main wall. The main part is 5,500 miles, with the total length of all the walls being 13,170 miles (more than half the length of the Equator, which is 24,901 miles). The wall worked until the Chinese lost the political will and resources to maintain such a formidable barrier. On the other hand, the Berlin Wall was 96.3 miles and remained in place until the economies of the countries maintaining it collapsed. The Cypriote wall (aka, The Green Zone) was established in 1964, is 121 miles long and is still continuously patrolled by United Nations forces, while the Korean Demilitarized Zone (DMZ) is 160 miles long and maintained by U.S., North Korean, and South Korean forces. 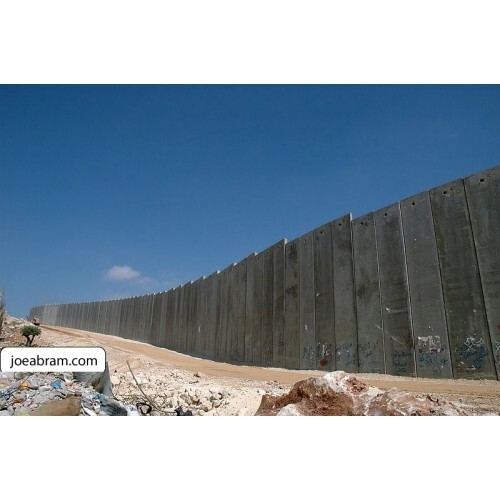 The Israeli wall, when completed will be 440 miles long over flat and accessable land and is a state-of-the-art barrier heavily patrolled by armed forces under orders to use lethal force. By comparison, the proposed Trumpwall would span 2,000 miles, over half of which will cover very rugged territory that is difficult to both monitor and patrol. So, it would seem for Trumpwall to work amounts of money more massive than the cost of construction will have to be spent to “do what it takes,” and Trump is either not telling us this, doesn’t himself know, or doesn’t care. It is a characteristic of authoritarians to need constant crises in order to energize support. And that crises will come after spending billions to build Trumpwall, and discovering it doesn’t work to keep people out, we will be faced with the paying billions more to “do what it takes”, or deal with the debt and world’s ridicule. Trump will either demand more money to make the wall work, or will walk away from the project as he has done in so many past situations leaving us to hold the bag of world ridicule and debt. Trump likes to point to the Israeli wall as an example of how a wall can work. What he doesn’t say is that we would have to be willing to kill anybody trying to breach the entire 2,000 miles of his wall to make it equally effective. Israel is in a constant state of war with Palestine, while we are not at war with Mexico. Trump would have to “do what it takes” against civilians running from violence and seeking a better life. Anything less will render his wall useless. Is Trump willing to deploy such lethal force? I think he is. After all, he has already said we should order our troops equipped with helmets and body armor and automatic weapons to shoot immigrants armed only with rocks. The next step up in lethality would seem a minor step for him. According to Hannah Arendt (Philosopher and refugee from Hitler’s Germany: see The Portable Hannah Arendt) another characteristic of authoritarian regimes such as Trump’s is to at first implicate its citizens in small crimes, such as violating our immigration and detention laws, and calling for violence against journalists and demonstrators, then move to larger crimes until the citizenship is so complicit that there is no turning away from even murder. The walls that I have referenced above all grew out of conditions of war; not made-up wars such as the ‘war on drugs’, or a ‘war on illegal immigrants”, those are but scare hyperbole aimed at exciting supporters. No, we are not at war with Mexico, which means we will have to kill unarmed civilians running from violence and poverty. Most undocumented people in the US have flown in and overstayed their visas; that means that the ones attempting to cross our Southern border are the most desperate and so poor they can’t pay the price of an airline ticket or passport. And the vast majority of drugs entering our country come in contained ships, so we will not be killing dope pushers. There is also no credible evidence that terrorists are infiltrating through our border with Mexico. Despite these attempted justifications, the bottom line is that we will be killing the poorest of the poor and our country will become a pariah among nations. We will have violated everything we say we stand for as a country and will spiral into more authoritarian violence. I don’t know about you, but I’m not okay with that.